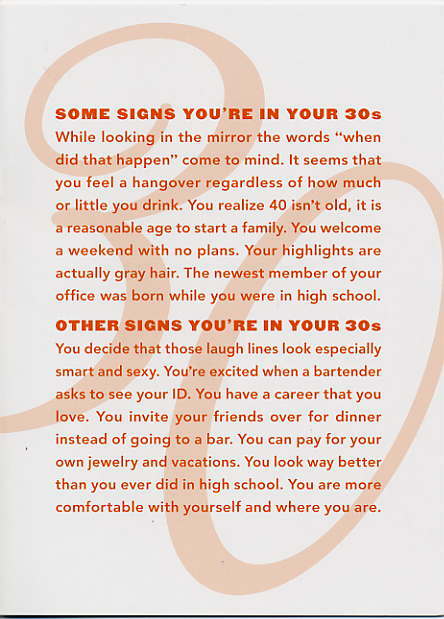 Funny card perfect for someone entering (or even re-entering) her 30's. 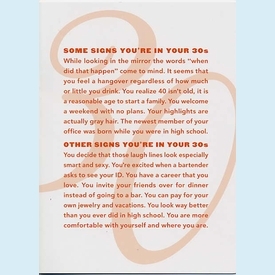 Funny truisms about the good and bad signs you're in your 30's printed on the front. Inside pre-printed: "With age comes beauty and wisdom / HAPPY BIRTHDAY". By Richie Designs for Madison Park.